As digital wellbeing becomes an ever more popular subject among consumers, tech giants such as Google have no choice but to increase their focus on the healthy use of our various gadgets. 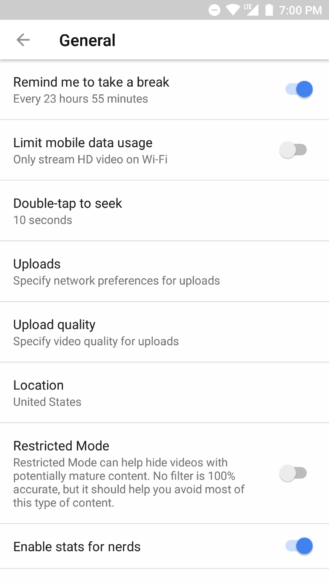 Android itself is getting its own suite of features to help battle smartphone addiction later this year, and the YouTube app already has a setting that reminds you to take a break. 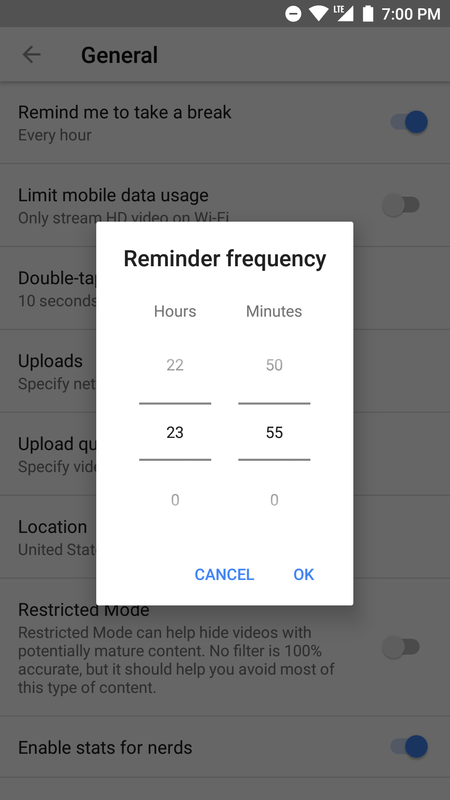 Since its introduction last month, it's only been possible to set these break reminders for predetermined intervals — 15, 30, 60, 90, or 180 minutes — but this is changing to give us greater control. We now get the ability to choose a specific reminder frequency in hours and minutes. It's unclear whether this is a server-side change or if an update to the YouTube app is required. I have the new functionality with v13.20.54 from 7th June, but a newer version (13.22.54) is also available on APK Mirror. With one of those installed, you should be able to use the new frequency picker.